Discover the role of propellants in aerosol cans and what products aerosol spray propellants can be used for. Aerosol Propellant Filling – One or more propellant heads configured to the liquid propellant (such as LPG) characteristics, connected to propellant pumps with adjustable volume delivery. 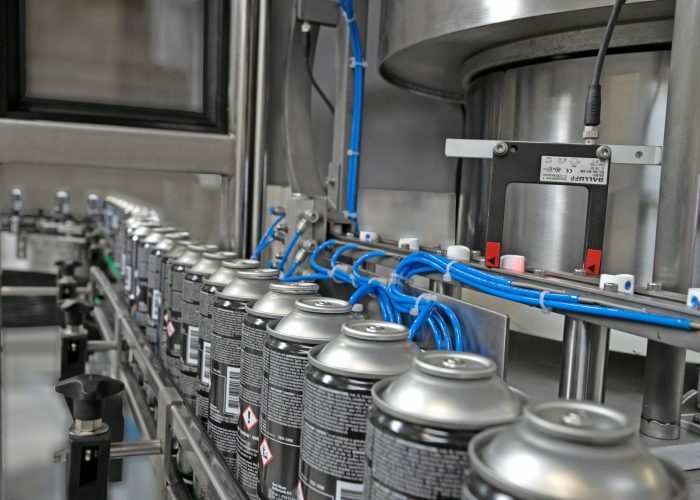 Liquid Aerosol Propellant Filling Machines require additional precautions, such as being mounted externally to the production warehouse in a ‘Gas House’. Liquid aerosol propellant Propellant Machines are typically constructed to comply with ATEX Zone II/2G regulations (classification Zone 1). Pressurisation – Alternatively, R&R can provide compressed gas filling machines that uses compressed gasses (such as Air, Nitrogen, Carbon Dioxide) to pressurise a container to an adjustable pressure. Compressed gasses used as propellant are typically inert gas fillers, so this process could be integrated into a “Filling Machine”. This also applies for air propellant which can be incorporated into compressed air filling machines. Machines that use aerosol propellant gases are typically constructed to comply with ATEX Zone II/3G regulations (classification Zone 2). 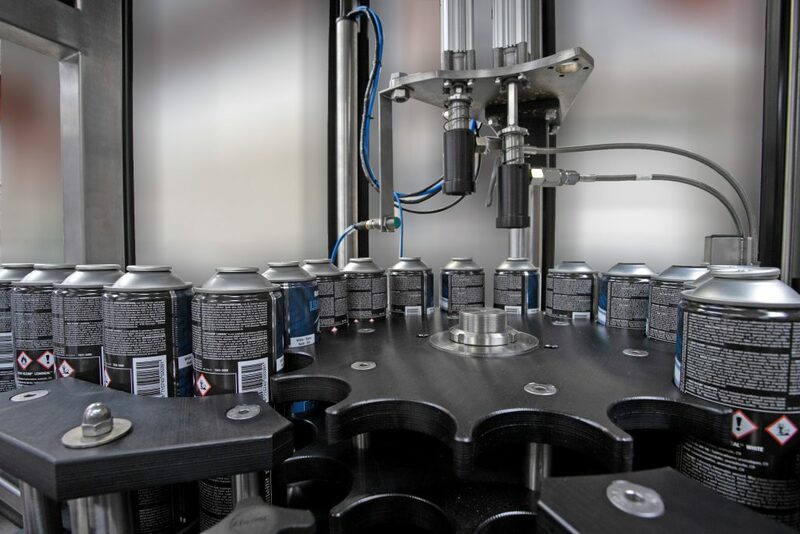 This Machine consists of a two-level rotating turret that loads caps from a queue and positions them over aerosol containers transferred from the transport conveyor. 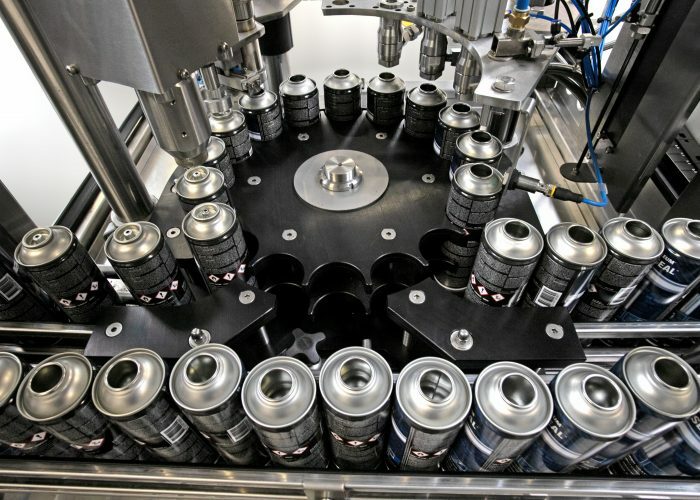 This Machine consists of a two-level rotating turret that loads actuators from a queue and positions them over aerosol containers transferred from the transport conveyor. 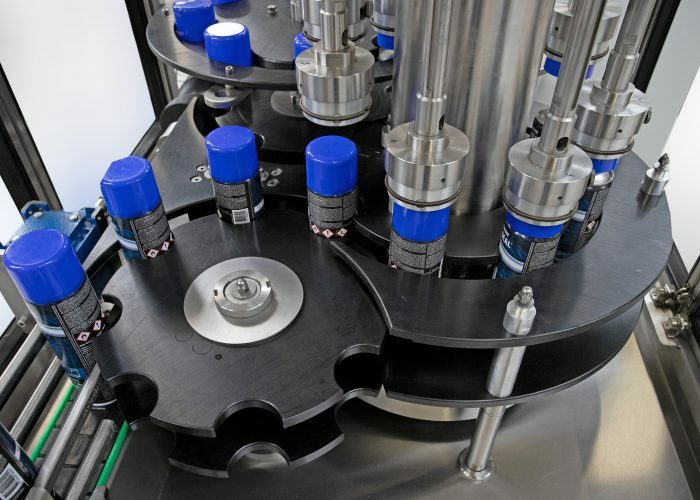 Our aerosol propellant filling machines come in either In-Line Indexing, or Rotary Indexing configurations, depending on the application. The machines can index single or multiple aerosol containers per cycle.